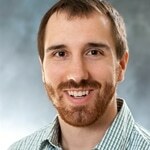 Northwestern communications instructor Dayne Logan presented a paper during a conference in Chicago. Dr. David Befus, Dayne Logan, Dr. Sam Martin, Katherine Meyers and Yun Koung Shin join Northwestern's faculty. Three graduating seniors--Greta Hays, Josh Locker and Anna Pitney--received Faculty Honors during Northwestern’s commencement exercises. Greta Hays has been selected for an arts management internship at the Kennedy Center in Washington, D.C.